The house, equipped with every comfort, has a maximum capacity of 5/6 people, small pets are allowed by prior agreement with its proprietary Vilma and Franco It consists of large living area, two bedrooms, comfortable bathroom and a small terrace with table and chairs and additional living area of 50 square meters, outdoor but covered, where to rest, read and dine. Provided to the guests are: wi-fi, tv, washing machine, dishwasher and dryer. The kitchen is equipped with all the necessary equipment, the master bedroom is very refined and romantic. The further bedroom has two single beds and a poltroon be. If necessary, a single bed is available in the living area. 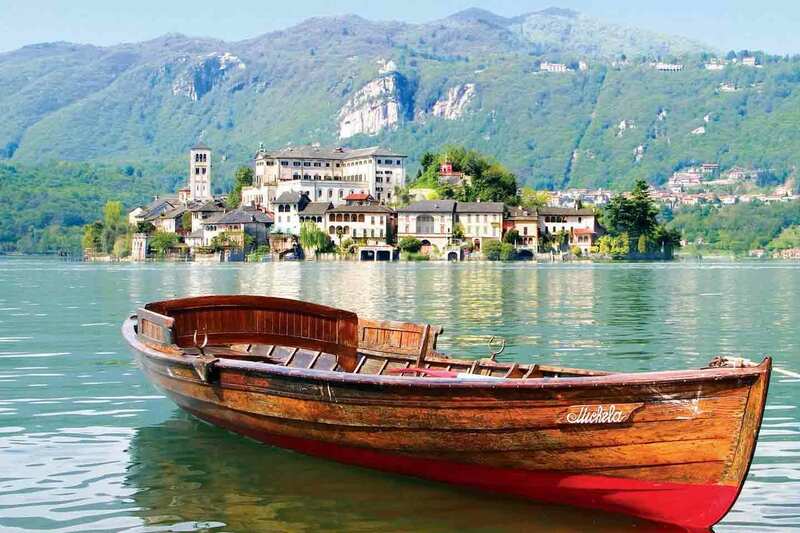 Madonna del Sasso is the best place from which to admire the beauty of the Orta lake, in addiction to being a beautiful shrine built around the middle of the seventeenth century in baroque style. But the village of Boleto, in addiction to being very quiet and warm, with a lake at a short distance, is also an excellent starting point for walks in the woods to discover pastures, looking for mushrooms, chestnuts and neighboring valleys. Ossola valleys, Sesia valley, Astrona valley are really at a reasonable distance for one-day trips and will also allow you to practice your favorite sports both in summer and in winter: sailing, skiing, horse riding, golf, boat-racing, trekking and mountain bike. When you return, you can choose to go to dinner at an inn or in some typical local restaurant or just eat an ice-cream in nearby Pella or go by boat to the nearby lake of Orta. We therefore advise you to check out our links which certainly will help you in your choices or ask the ladies of the house Vilma and Sophie, who will do all they can to make your holiday to be unique and incomparable.